Two organisations are teaming up to battle the land claim. A local resident’s association said it would be teaming up with AfriForum to fight a 20-year-old Centurion land claim, which has resurfaced recently, reports Centurion Rekord. “We are grateful for the assistance they offered,” said Henk Botma, chairperson of The Reeds, Thatchfield, and Rooihuiskraal resident’s association (ReThRo). 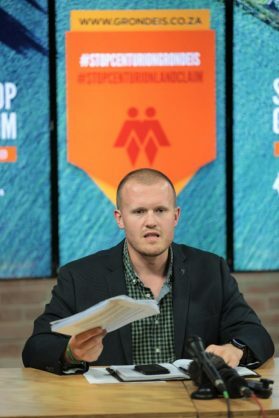 Earlier this week, AfriForum announced its intention to contend the claim, affecting – by their estimate – about 4,000 hectares of property in Centurion. “We are taking the necessary steps to oppose this attack on private property rights,” said AfriForum community safety head Ian Cameron. Cameron addressed the media during a briefing at the organisation’s headquarters in Kloofsig on Tuesday morning. AfriForum will hold a community meeting on February 19 at 7pm at the Leriba Lodge to address Centurion property owners. The meeting will inform community members of the land claim as well as the organisation’s action plan. Meanwhile, ReThRo will host its own meeting on February 12 at the Reformed Church in The Reeds. “Then we will explain our partnership with AfriForum as well as the steps we have already taken and the way forward,” said Botma. The meeting will start at 7pm. ReThRo assured residents they were welcome to sign mandates with both organisations to allow them to represent residents in the matter. “There is no need to choose between the organisations,” said Botma. Thirty-nine households are claiming land rights to various properties around Centurion, including Olievenhoutbosch, Rooihuiskraal, The Reeds, and Heuweloord. 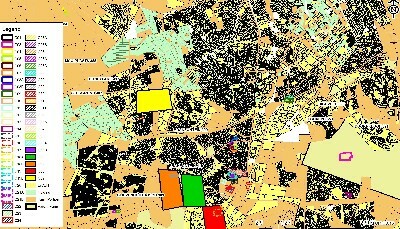 The areas within the different coloured blocks are the properties being claimed. Map: Supplied/Reeds, Thatchfield and Rooihuiskraal resident’s association. This land is mostly residential and industrial township properties.